I’d seen mention of a new eatery, Metanoia, in Watford City, North Dakota, on social media. When we made a swing through a few of our favorite towns in western North Dakota and eastern Montana early in October, the timing was perfect to give it a try. We found it easily, located just west of the Roosevelt Inn & Suites on 2nd Avenue Southwest, known to most as Highway 85/200, as it leads west out of town. Teddy Roosevelt’s huge presence in Watford City at Roosevelt Inn & Suites provides a good landmark from which to locate Metanoia Restaurant. The old GTA elevator in Watford City, North Dakota, is one of the landmarks which will help locate Metanoia Restaurant. The exterior of Metanoia Restaurant is simple and practical. Pronounced ˌmedəˈnoiə/, the name is a Greek word involving transformation. According to Wikipedia, In Classical Greek metanoia meant changing one’s mind about someone or something. Change our mind about what? We proceeded to find out! The logo on the front door of Metanoia Restaurant is a bright, sunny green. It’s open 7 days a week. The restaurant was open and felt fresh, clean. It was clean! Its furnishings were very distinctive and worth note. There are none other like them, as one of the owners (it’s a family run operation, by the way) constructed them. Melanie, one of the staff and also a family member, informed us later that the booths are a work still in progress. We look forward to observing their changes the next time we stop in . Seating is plentiful in either booths or at tables at Metanoia Restaurant, and they are unique! Hand built by the owner, and so new they’re not quite finished. You won’t find tables and booths such as these at any other eatery. They were made by the owner. We were greeted almost immediately upon entering with a warm smile from Cheyenne, who was our server. She offered us beverages and brought menus as soon as we chose our table and sat down. Already our experience was positive. But still, that ‘change of mind’ phrase suggested by the meaning of the name, Metanoia, did not make sense to us. After reading the heading of the menu, we began to understand the meaning of the name of the eatery. Change. Fresher, healthier food! After we read the heading of the menu, we began to understand the meaning of the name, Metanoia. The intent at this eatery is to provide fresher foods with fewer preservatives in a healthier way. There are vegetarian, keto, and vegan options. Organic, too. The menu listings are extensive at Metanoia Restaurant in Watford City, North Dakota. Numerous entrees and variations, including vegan and vegetarian and keto are offered at Metanoia. Menu options at Metanoia Restaurant accommodate keto, vegan, and vegetarian appetites. We opted for entrees we’d not seen other places. Corned Beef Benedict?? I’m an Eggs Benedict aficionado of sorts, but I’d never tried it with corned beef. So, that was my choice. And Mike, with a hearty appetite? Breakfast Taco! How much protein can a flour tortilla hold? A lot! It takes a hearty appetite to eat this protein packed meal. This version of Eggs Benedict is unique! Corned Beef! The portions sizes were very generous. The taste? Delicious! In order to sample just a bit more of the menu, we got a To Go box for a portion of our entrees. The dessert offerings were just too tempting! We shared an order of Smoked Maple Bourbon Pecan Ice Cream. The verdict? Wow! It definitely was large enough for two people. The taste was out of this world, magnificent! An ice cream with a truly simple ingredient deck, consisting of bourbon ice cream, maple ice cream, and smoke maple ice cream swirled together in a perfect combination & complemented by praline pecans! Eat at Metanoia! The food choices are plentiful and very good. The environment is very clean. And the staff are some of the friendliest people you’ll ever meet! Cheyenne, smiling, definitely kept our coffee cups full as we dined, and Melanie spent time visiting with us about the beginnings of this unique and sure-to-be-outstanding restaurant in Watford City, as well as the goals and aspirations of the hard working family behind it. We look forward to meeting the rest of the family when we go back to Metanoia! After your visit there, let us know what you think! Why were we in western North Dakota? To explore our favorite places! Join us at Devils Pass, if you dare! Subscribe to this blog. 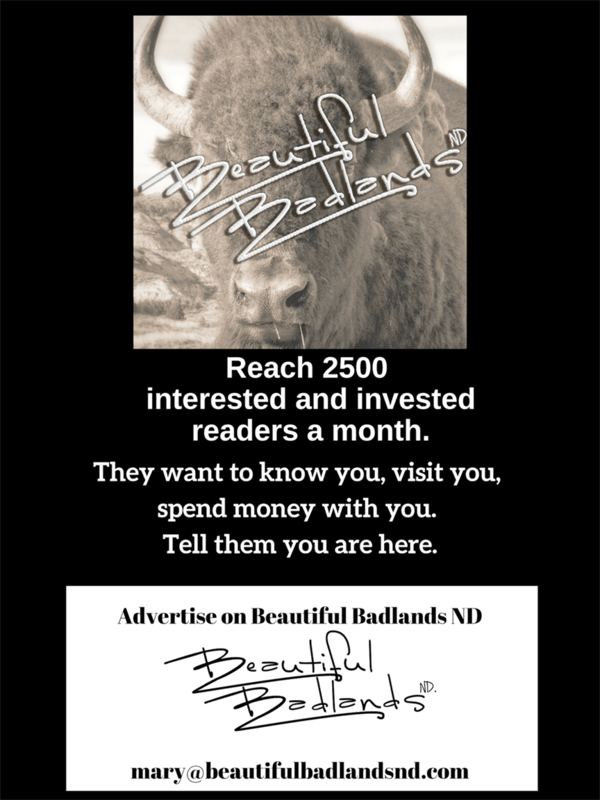 We’ll keep you up to date on news, events, and explorations in western North Dakota and eastern Montana.